Here's an exciting piece - full credit to Fashionista. 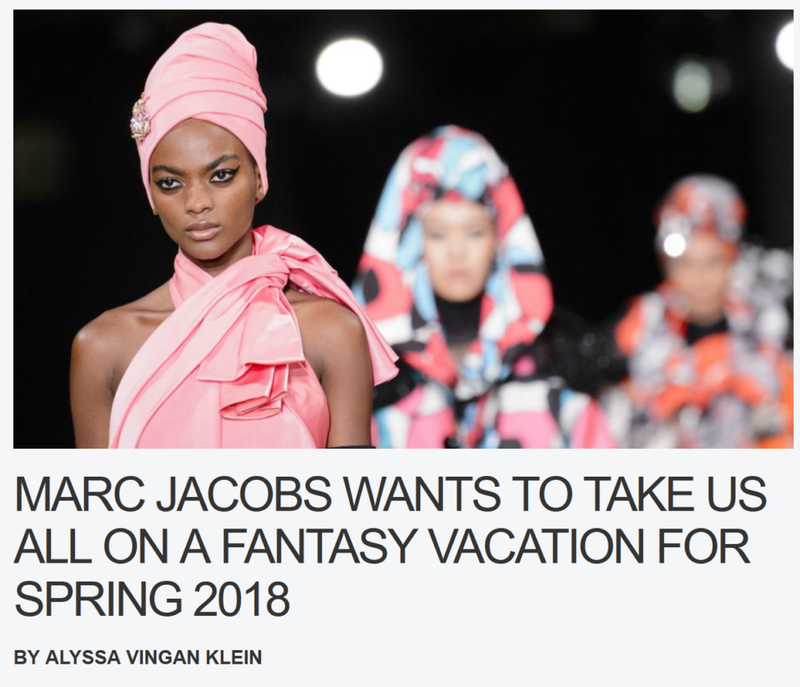 Marc Jacobs wants to take us all on a fantasy vacation for Spring 2018. Let's be real, we could all use one!